On a flat surface lightly dusted with confectioner's sugar, roll out the fondant to 1/8 to 1/4 inch thick. Use small cookie cutters to cut out fondant designs. 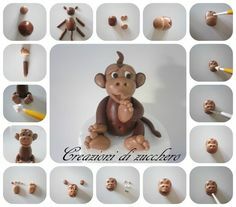 Alternatively, sketch out a shape on the fondant using the tip of a toothpick and then cut it out with a sharp knife. Consider layering the fondant cutouts. Brush the back of one shape with a small amount of water and press it onto... Fondant glue - each toothpick was dipped into fondant glue before being attached to the surfboards. This is to make sure the toothpicks remain glued to the surfboards. This is to make sure the toothpicks remain glued to the surfboards. It did, however, work beautifully to create flat fondant appliques (like the facial features). Keep it covered. Just like it�s sugar-laden cousin, this fondant will dry out very quickly if left uncovered.... STEP 1: PREPARE THE HAT. To make the hat, start by rolling red fondant into a ball about the size of the palm of your hand. Press the ball flat with the palm of your hand to create a beanie shape. After making the arms, roll little pieces of cream fondant for hands and attach with sugar glue: Attach the arms with a little sugar glue and flatten the top so that the head will rest on the body and shoulders.... Fondant glue - each toothpick was dipped into fondant glue before being attached to the surfboards. This is to make sure the toothpicks remain glued to the surfboards. This is to make sure the toothpicks remain glued to the surfboards. 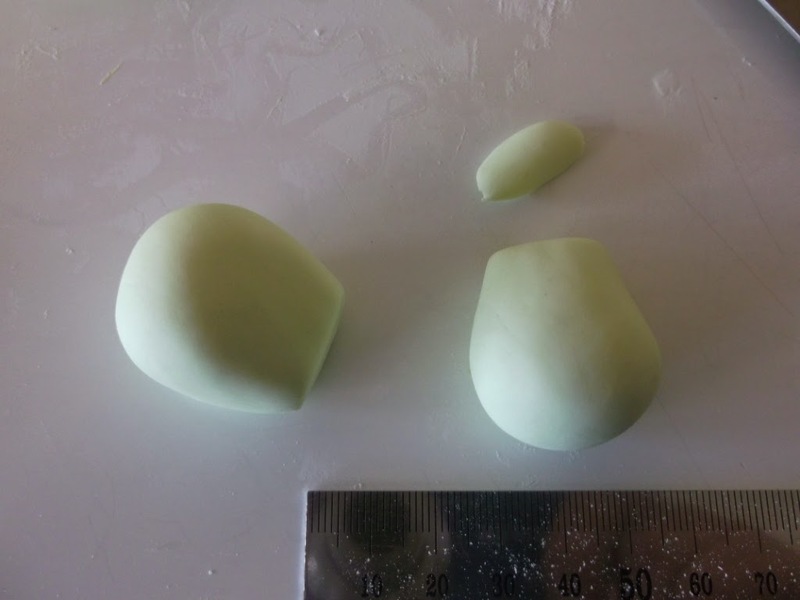 After making the arms, roll little pieces of cream fondant for hands and attach with sugar glue: Attach the arms with a little sugar glue and flatten the top so that the head will rest on the body and shoulders. Cut into uneven strips using a pizza cutter and ruler (just hover the ruler over the fondant � if you put it flat it tends to stick). Place strips over the cake intersecting in the centre. Once all the strips are places use a circle cookie cutter and trim away the centre circle of all the strips. Then use the cookie cutter to make a circle of desired color and place in the middle.